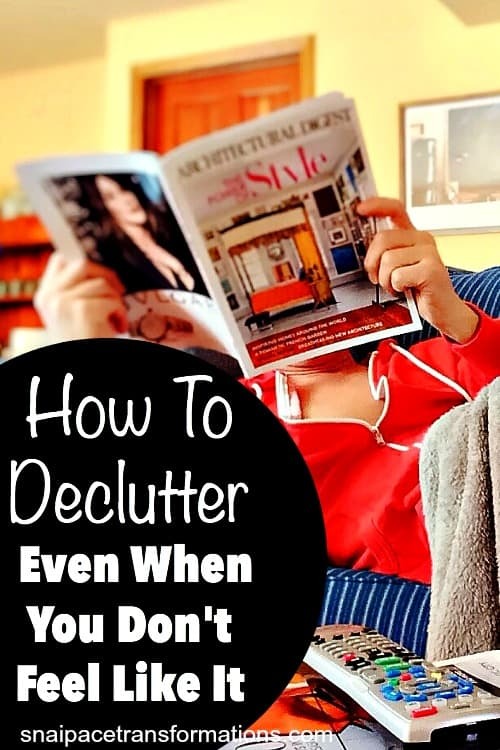 One common struggle among those pursuing a clutter free home in my decluttering Facebook group is dealing with how to keep decluttering when you don’t feel like it. Honestly, the “I don’t feel like it” battle is something I struggle with. All. The. Time. But I am getting better at defeating it. “I don’t feel like it” got me in a huge heap of mess quite literally when I stopped dealing with my clutter while grieving over the deaths of my mom, two grandmothers, and my father all in a fairly short period of time. Finally a light bulb went on in my head. Because I am simply not that talented in cleaning and organizing, the odds of me getting in an “I feel like attacking clutter” mood are very slim. Oh, it happens once every blue moon, when the planets align just so–but not often enough to keep us from drowning in clutter. If I really wanted to have a clutter free home, I needed to stop waiting for an “I feel like it” mood and instead start attacking clutter consistently week in week out, even if it was at a snail’s pace. And now we currently don’t live in a home drowning in clutter. We still have some, but we have gone from drowning in it, to swimming in it, to finally just wading up to our ankles in it and the sea of clutter is still receding. Each and every month now our clutter is shrinking, even though I don’t feel like attacking it. After I stopped waiting for the perfect mood to attack clutter, I started applying, developing, and strengthening a personality trait that helped me and can help you achieve decluttering our homes and reach any goal–grit. Last year I made decluttering into a blog challenge and I did it again this year. Even though I love my readers, this was more for me and my family than anyone else. It forced me to write “declutter this week’s space” on my calendar for 52 weeks in a row last year and now once a month this year. You might not have a blog audience that you can set challenges for and then be forced to keep up with them. However, you can easily set goals for your clutter removal. Walk around your house with a pen and paper in hand and note all the spots that need a good decluttering. Don’t forget those sheds, garages, basements, and attics. With your list in hand, decide how you are going to tackle it. Can you devote your Saturday afternoon to knock off an area a week? Would it perhaps work better if you aimed for 15 to 30 minutes each weekday on an area? Decide what will work best for you and then write it on the calendar not just for this week, but for every week you think it will take you. This is when you really start to develop grit. It is easy to plan and then schedule it in your day planner, but to actually do it? That takes diligence and discipline and those are elements of grit. Here is an article I wrote about 6 ways to stay on target with your goals and all of them can be used to help you stick to your decluttering goal. Pick which one will work best for you, or do all 6 if need be. These tricks will help give you the energy needed to push through “I don’t feel like it” and stick to your plan. Last year I read an article on decluttering each day to keep me motivated (reading is one of the 6 tips I share in the article). This didn’t stop me from whining and complaining about having to declutter yet another space, but it did stop me from giving into “I just don’t feel like it.” Those articles help me realize I wasn’t the only on with a clutter problem helping me push through “I don’t feel like it” and gave me great tips that made the whole decluttering process easier. If that didn’t work, I reminded myself that when I worked outside of the home years and years ago I would never say no to an assignment my boss gave me that was in my job description he or she hired me for no matter what my mood, so why should I apply a different set of standards to my work as a homemaker? Before, during, and after photos are powerful motivators and motivation helps set girt into high gear, kicking an “I don’t feel like it” mood to the curb. Last year, seeing what last week’s space look liked before I decluttered it and then after was often enough to get me off the couch and decluttering the next week’s space. Since I focused on one room per month at the end of each month, I would often go through my weekly update posts and through pictures see the transformation the room took in just 4 weeks time. I don’t know why, but when I stand at a finish line of a goal, it is often hard for me to remember just how far I have traveled to get there. Photos can bring the whole transformation to life in a motivating and therefore grit building way. It is harder to give into “I just don’t feel like it” when you know that you have someone who is going to call you out on not digging into your grit and getting the job done. For me this was my readers and the people in my decluttering Facebook group. 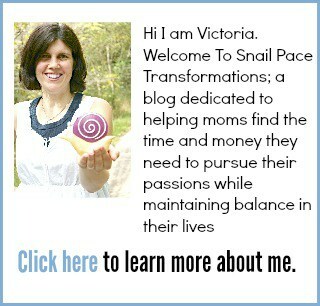 Knowing I had 100s of people following my decluttering journey made me dig down deep to find my grit and push through. If you are so sick that you could easily get a valid Doctor’s note, then take a day off. The type of sick days I am referring to here are those times when we use a case of the sniffles or a small ache as a cover up for a “just don’t feel like it” mood. Be honest, we are all guilty of this type of sick day from time to time. Next time this happens, face that what you are doing is simply making excuses so that you can act on your “I don’t feel like it” mood and not feel guilty about it. Instead, push the excuse aside and get to your decluttering task for that day. To truly say goodbye to the “just don’t feel like it” trap that leads to cluttered homes you need to commit to always moving forward no matter what. This means that if you give into “just don’t feel like it” one week, you don’t throw up your hands and say, “I give up! We will simply live in clutter!” Nope. Instead you take a few minutes to figure out a better plan of attack so that you can defeat “just don’t feel like it” next time. Were you tired? Start scheduling your decluttering time to the time of day you generally have the most energy. Did something eat up the time slot? Try the Eat That Frog method and schedule your decluttering sessions first thing before other priorities demand your attention. Are you trying to do too much at once? Nothing is more discouraging than setting a goal that is simply too big to conquer in the stage of life you are in. Perhaps due to a newborn or job demands or whatever you might be facing in other areas of life, you can’t commit to decluttering a room a weekend like you wanted to, but you can commit to spending 30 minutes to an hour every Saturday attacking clutter. The goal is to declutter your home, you can alter the “how” and still reach your goal. Fighting “I just don’t feel like it” is a life long battle, but the good news is that once you develop grit the battle becomes easier. Grit helps you form habits and habits can be done on auto pilot. Things done on auto pilot don’t tend to get attacked by “I just don’t feel like it” as much as those things that aren’t. Do your suffer from “I just don’t feel like it” attacks? How do you deal with them? An egg timer: Trust me, this simple, old fashioned tool is a game changer. I don’t know how many times I have been in an “I don’t feel like it” mood and made myself agree to decluttering for just 10 minutes, set the timer, and in that 10 minutes found the energy to tackle the entire area I originally planed to attack. Don’t use the one on your phone–you can’t see it counting down without wasting seconds swiping your smartphone screen like you can the old fashioned type and that is super motivating. 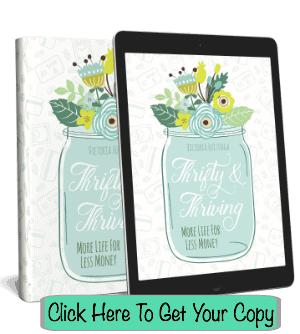 Read this ebook for more great ways to use an egg timer to complete life goals. 21 Days To A More Disciplined Life: This eBook takes just an afternoon to read, but it is crammed with great suggestions on how to break down your goals into actionable steps and stick to them. It is a grit builder for sure. Clutter’s Last Stand: It’s Time To De-junk Your Life: If I don’t feel like decluttering, reading just one chapter of Clutter’s Last Stand can turn me into a decluttering machine. It is highly motivating. I try to have at least one box of donations every month that the DAV comes through our neigborhood to pick up items. That really helps me stay on track. I love the idea of taking pictures of the before, during, and after! Doing one room a month seems very reasonable. Having a pick up truck booked for a monthly donation is such a great idea!